All to improve your work environment and reduce strain injuries. Adjust the height of the work surface for optimal ergonomic comfort. Height 850-1070mm/ 2ft. 9in-3ft. 6in. ROLL-X Professional has Electrical height adjustment with possibility to control each leg individually for leveling. ROLL-X will become your new work table, with unique metal side lines for trimming your graphics and a self-healing cutting mat YOU NEED NO FURTHER CUTTING TABLE. ROLL-X Multipurpose Applicator offers a solution with no overlaying beam. The glide beam is manually operated but the roller´s up & down movement is accurately operated by two control buttons placed on each side of the glide beam. ROLL-X is a work table: with the uniquely designed adjustable and removable side trays. Adjust the height of the side trays based on your roll material or tools. And by removing the side trays you can sit next to the table without hitting your knees. Roll holder short side is a standard equipment and is attached to one of the short sides of the Work table. Hang your roll of for example printed vinyl for easy access! Roll holder glide beam is a standard equipment used for PRE-MASKING. It enables a single person to apply transfer tape to cut vinyl graphics from the built in tape roll holder. Remove the roll holder when not in use for more access! THE SUPER-FAST ROLL-X PRODUCTION METHOD ELIMINATES SEVERAL TIME CONSUMING STEPS FOR SIGN MAKING AND PRINT FINISHING. IN MOUNTING, LAMINATION AND PRE-MASKING. ROLLSROLLER Flatbed Applicator, the inventor of Flatbed Applicators, has revolutionized the finishing work of many sign makers. Using manual processes for sign making can make it difficult to meet your customer's growing demands. Many of the manual procedures are strenuous, time consuming and demanding – and results can vary. ROLL-X Multipurpose Applicator is a NEW invention from the ROLLSROLLER group, built and designed, from many years of experience as market leaders. ROLL-X gives you perfect results in a third of the time. Change to the ROLLSROLLER & ROLL-X production method today. There is no content for this country or state. Great accessories to improve and modify your ROLL-X Multipurpose Applicator. To make your job even easier. Choose between many original accessories to improve your daily work. Need is the mother of invention. And it all started with ROLLSROLLER who was born when Reklamidé AB took on too much work and Göran Johansson realised they’d never make the deadline. Soon they were faced with a choice: to become the world’s best sign makers or to revolutionise the entire industry. The company group has now started a new chapter in the history of Flatbed Applicators by launching a second brand, ROLL-X Multipurpose Applicator. A chapter that will take the company group further in the ambition to revolutionise the Global Sign Industry, but also a chapter where two brothers and families reunite in a cooperation that doesn´t have any boundaries! Stay tunded for more of OUR STORY and new products! Want to see how much time and money you can save? While getting access to a technology that will revolutionize your entire work process? 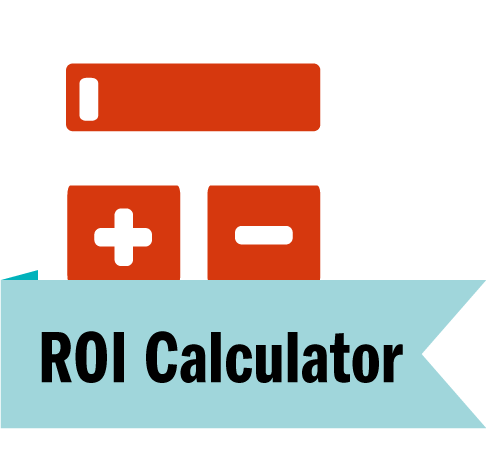 The ROLL-X ROI Calculator easily calculates how much you earn on replacing your traditional approach to the unique ROLL-X Multipurpose Applicator method. How much foil and pre-mask do you use? How much time do you spend per application? What is the total labour cost? Fill in your values and discover how fast your return on investment will be. The question is. Can you afford not to? Fill in your details to start calculate. HOW MUCH PRE-MASKING TAPE AND DIGITAL PRINT VINYL DO YOU USE PER MONTH? HOW MUCH TIME DO YOU SPEND PER APPLICATION TODAY? HOW MUCH IS APPLICATED ON A VEHICLE? HOW MUCH IS THE TOTAL LABOUR COST PER HOUR?